Synopsis Alan Russell was born in 1913 at Raetihi in the King Country. Educated at Nelson College and a rugby enthusiast, he switched from rugby to bowls at the age of 30. For the next 44 years bowls became his consuming interest. Now, at the age of 74, he looks back on the triumphs, trials and tribulations which attended those years: the transition from a relatively minor sport to one which is now represented by an Olympic team. Additionally, this book contains a selection of articles and reflections accumulated over many years which recapture invaluable insights into the games and personalities of the past. 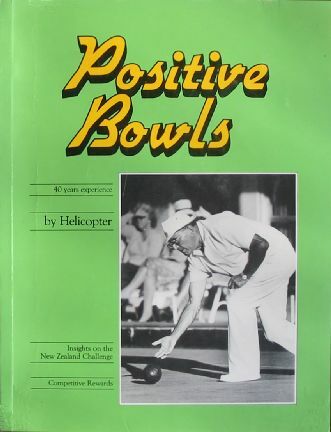 'Helicopter', the name given to him because of his stance on the mat, provides a wealth of down-to-earth advice for would-be bowlers and, at the same time, offers opinions about the game which will promote active controversy for many years to come.